Arthur Ashe was the first African American player to compete in the international sport of tennis at the highest level of the game. After an early retirement from sports due to heart surgery, Ashe used his sportsman profile and legendary poise to promote human rights, education, and public health. Arthur Robert Ashe Jr. was born on July 10, 1943, in Richmond, Virginia. He spent most of his early years with his mother, Mattie Cordell Cunningham Ashe, who taught him to read at age five. She died the next year of heart disease. Ashe's father, Arthur Ashe Sr., worked as a caretaker for a park named Brook Field in suburban North Richmond. Young Arthur lived on the grounds with four tennis courts, a pool, and three baseball diamonds. This was the key to his development as a future star athlete. His early nickname was "Skinny" or "Bones," but he grew up to be six feet one inch with a lean build. Ashe began playing tennis at age six. He received instruction from R. Walter "Whirlwind" Johnson, an African American doctor from Lynchburg, Virginia, who opened his home in the summers to tennis prospects, including the great Althea Gibson (1927–). Johnson used military-style methods to teach tennis skills and to stress his special code of sportsmanship, which included respect, sharp appearance, and "no cheating at any time." Ashe attended Richmond City Public Schools and received a diploma from Maggie L. Walker High School in 1961. After success as a junior player in the American Tennis Association (ATA), he was the first African American junior to receive a U.S. Lawn Tennis Association (USLTA) national ranking. When he won the National Interscholastics in 1960, it was the first USLTA national title won by an African American in the South. The University of California at Los Angeles (UCLA) awarded him a full scholarship. In 1963 Ashe became the first African American player to win the U.S. Men's Hard-court championships, and the first to be named to a U.S. Junior Davis Cup (an international men's tournament) team. He became the National College Athletic Association (NCAA) singles and doubles champion, leading UCLA to the NCAA title in 1965. After graduating with a bachelor's degree in business administration, Ashe served in the army for two years, during which he was assigned time for tennis competitions. In 1968 Ashe created a tennis program for U.S. inner cities. This was the beginning of today's U.S. Tennis Association/National Junior Tennis League program, with five hundred chapters running programs for 150 thousand kids. Two events changed Ashe's life in the late 1960s. The first was the protest by African American athletes at the 1968 Olympic Games in Mexico City, Mexico, in opposition to separation based on race, or apartheid, in the Republic of South Africa. The second event was in tennis. He was the USLTA amateur champion and won the first U.S. Open Tennis Championship at Forest Hills. The USLTA ranked him co-number one (with Rod Laver). He became a top money-winner after turning professional in 1969. In 1972 he helped found the Association of Tennis Professionals (ATP). In 1973 Ashe became the first African American to reach the South African Open finals held in Johannesburg, South Africa, and he was the doubles winner with Tom Okker of the Netherlands. Black South Africans gave Ashe the name "Sipho," which means "a gift from God" in Zulu. The year 1975 was Ashe's best and most consistent season. He was the first and only African American player to win the men's singles title at Wimbledon, beating the defending champion, Jimmy Connors. Ashe was ranked number one in the world and was named ATP Player of the Year. In 1977 Ashe married Jeanne Moutoussamy, a professional photographer and graphic artist. The couple had a daughter, Camera Elizabeth. Ashe almost defeated John McEnroe (1959–) in the Masters final in New York in January 1979, and was a semi-finalist at Wimbledon that summer before a heart attack soon after the tournament ended his career. After heart surgery Ashe announced his retirement from competitive tennis. After retiring from competition, Ashe served as captain of the U.S. Davis Cup team and led it to consecutive victories (1981–82). Ashe received media attention for his Davis Cup campaigns, his protests against apartheid in South Africa, and his call for higher educational standards for all athletes. But he spent most of his time dealing quietly with the "real world" through public speaking, teaching, writing, business, and public service. Ashe helped develop: the ABC Cities program, combining tennis and academics; the Safe Passage Foundation for poor children, which includes tennis training; the Athletes Career Connection; the Black Tennis & Sports Foundation, to assist minority athletes; and 15-Love, a substance abuse program. After heart surgery in 1983 Ashe became national campaign chairman for the American Heart Association and the only nonmedical member of the National Heart, Lung, and Blood Advisory Council. In the late 1970s he become an adviser to Aetna Life & Casualty Company. He was made a board member in 1982. He represented minority concerns and, later, the causes of the sick. Ashe was elected to the UCLA Sports Hall of Fame, the Virginia Sports Hall of Fame, and the Eastern Tennis Association Hall of Fame. He became the first person named to the U.S. Professional Tennis Association Hall of Fame. He spent six years and $300,000 of his own money to write A Hard Road to Glory: A History of the African-American Athlete, a three-volume work published in 1988. Ashe won an Emmy Award for writing a television version of his work. He also worked as a broadcaster at tennis matches, sports consultant at tennis clinics, and columnist for the Washington Post. After brain surgery in 1988 came the discovery that Ashe had been infected with the human immunodeficiency virus (HIV), the virus that causes acquired immune deficiency syndrome (AIDS, a fatal disease that attacks the body's immune system). Doctors traced the infection back to a blood transfusion he received after his second heart operation in 1983. After going public with the news in 1992, Ashe established the Arthur Ashe Foundation for the Defeat of AIDS to provide treatment to AIDS patients and to promote AIDS research throughout the world. He rallied professional tennis to help raise funds and to increase public awareness of the disease. He addressed the General Assembly of the United Nations (UN) on World AIDS Day, December 1, 1992. 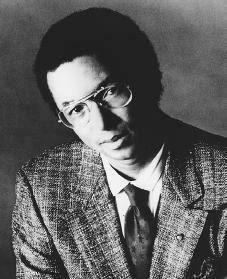 Arthur Ashe died on February 6, 1993, in New York City. As Ashe's body lay in state at the governor's mansion in Virginia, mourners paid their respects at a memorial service held in New York City and at the funeral at the Ashe Athletic Center in Richmond. In 1996 Ashe's hometown of Richmond announced plans to erect a statue in his honor. The following year a new stadium at the National Tennis Center in Flushing Meadows, New York, was named after him. Ashe, Arthur, and Arnold Rampersad. Days of Grace: A Memoir. New York: Alfred A. Knopf, 1993. Lazo, Caroline. Arthur Ashe. Minneapolis: Lerner, 1999. Martin, Marvin. Arthur Ashe: Of Tennis & the Human Spirit. New York: Franklin Watts, 1999. This article was really helpful for my school project. I learned a lot about him and how great of a person he really was. Thanks a lot. This article has been of a great help in an essay that I'm writing. Thank you. I'm actually turning this essay into the hands of Walter Johnson since I'm in one of his Tennis programs in the Willow Glen area of San Jose. Coach Johnson has told us all about his career working with Arthur Ashe and how much of a privilege it was. I have read for myself of how great of a man Arthur Ashe really was. Once again, thank you for the help. This article was very helpful. I learned alot about Arthur Ashe, well alot that I didn't know about him. This atricle me a lot with the progect iam doing. Thanks a lot. Thank you this was helpful. totally awsome for my project.